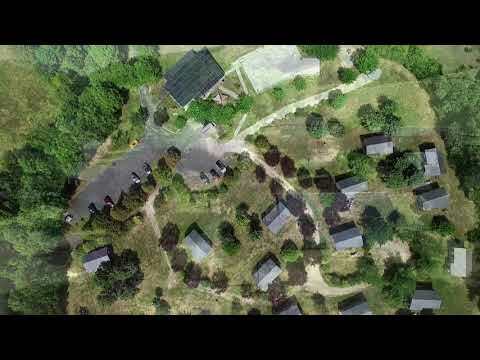 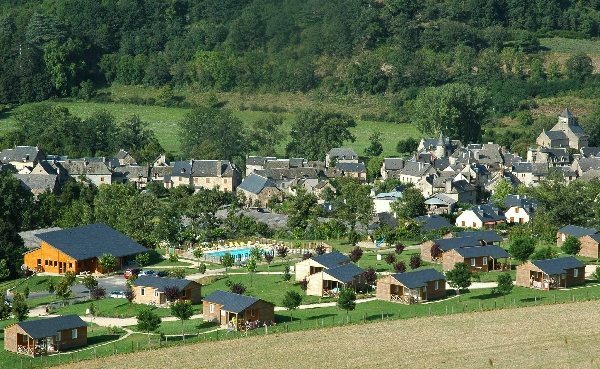 Village de gîtes "la Cascade"
This residential leisure park is situated in the middle of lush countryside overlooking the village of Sainte Eulalie d' Olt, classed as one of the Plus Beaux Villages de France (most beautiful villages in France). Everything has been thought out to ensure that your holiday goes like a dream, making the most of the modern facilities in the bucolic setting in the middle of the countryside. 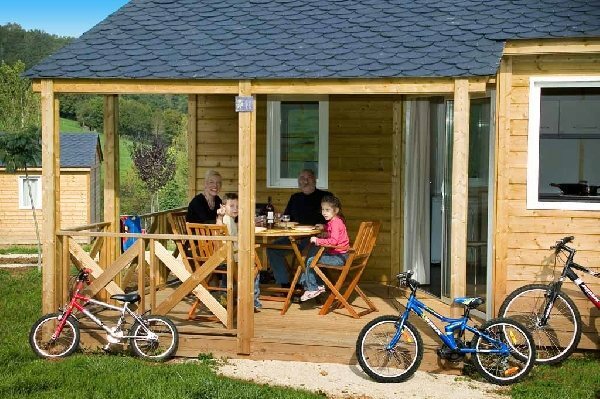 15 wooden chalets of 35m² (up to 6 people), one of which is set out for people of reduced mobility. 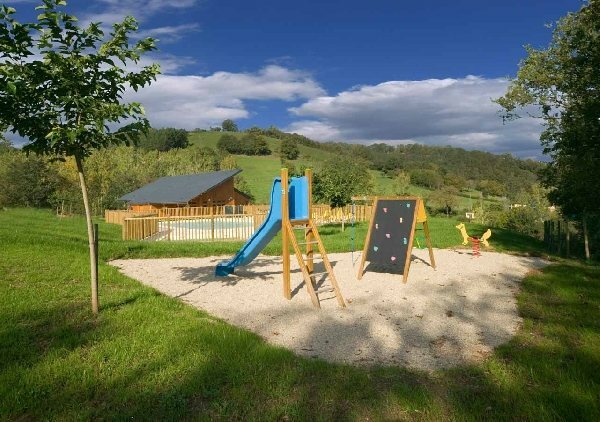 Private swimming pool with paddling pool, bar, children's play area, free open air parking. "Chèques-vacances" holiday cheques accepted. 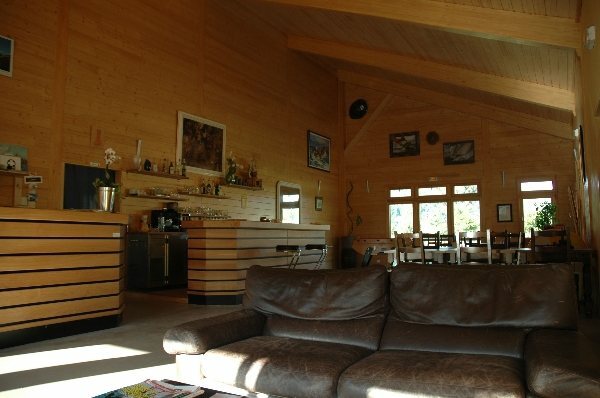 Single storey chalet: 2 bedrooms (1 with 1 double bed and 1 with 3 single beds), equipped kitchen (microwave), lounge area, bathroom, separate WC, covered terrace (11m²) with garden furniture, barbecue.